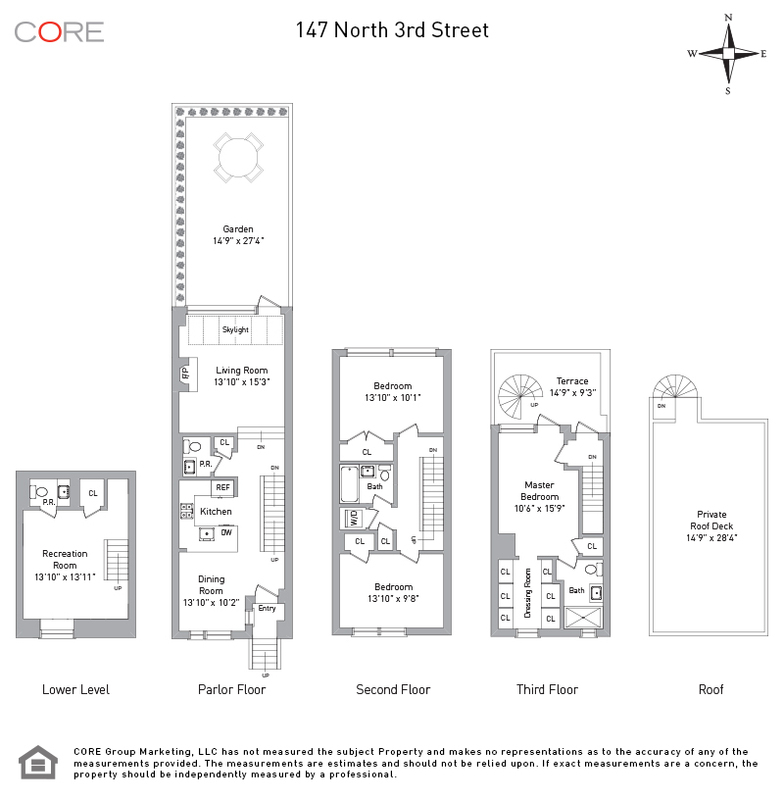 The luxuries of private townhouse living merge with the amenities of a full-service condominium at 147 North 3rd Street. 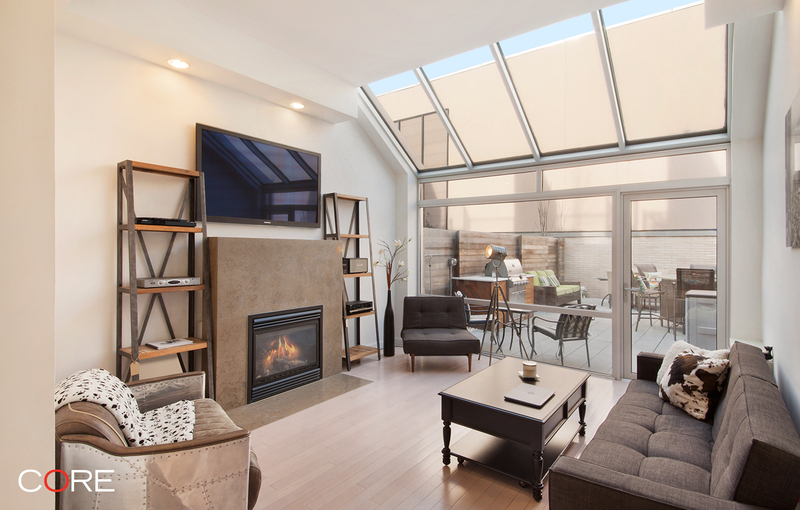 Newly constructed in the heart of Williamsburg, this 5-level home is beautifully laid out to include 3 bedrooms, 2 full and 2 half bathrooms, as well as a private backyard, roof deck and terrace. Enter the open parlor floor, the heart of the home's entertaining space, and enjoy the spacious dining room, kitchen and living room. Relax in the sun-soaked living room with a gas fireplace or take advantage of the adjoining private backyard with outdoor grill. One flight up, two bedrooms share an en-suite bath. Encompassing the entirety of the third floor, the large master suite offers a walk-in dressing room, lovely en-suite bath and private terrace. Atop the home, the private roof deck provides an extra space for outdoor entertainment.